An unique combination of two brands under one roof. Proudly we present the best 1-2 of Amsterdam Southeast! Two hotels under one roof which support each other in the best possible way. 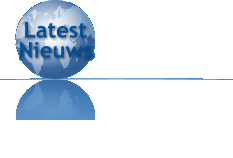 In the meanwhile already a succes for more than two years in Amsterdam and very well appreciated by our guests. 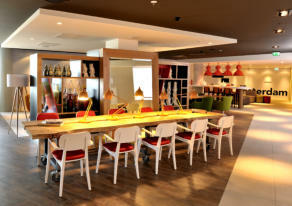 Meet The Open Lobby, featuring Starbucks Coffee and discover the unique combination with Holiday Inn Express. Here we create the perfect 1-2 by organizing your meeting at 4-star level and combining this with rooms in our 3-star hotel (with perhaps even a little better view from the 7th to the 17th floor). 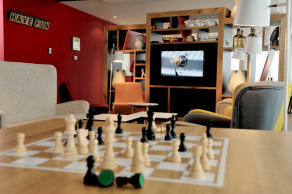 We are the first Holiday Inn hotel in the Benelux to introduce The Open Lobby & ToGo Cafe , where we serve Starbucks Coffee . Not only accessible for our hotel guests, but for anyone who is looking for an inspiring space for a coffee, breakfast, lunch, dinner, business meeting, brainstorming session or a drink with colleagues. 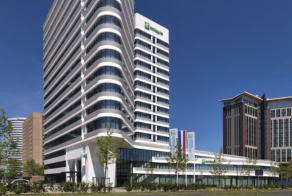 CLICK HERE FOR MORE INFO ON HOLIDAY INN AMSTERDAM - ARENA TOWERS AND YOUR RESERVATION.